Tennessee farm: photo by Michael Meiser / mmeiser2 on Flickr (noncommercial use permitted with attribution / share alike). 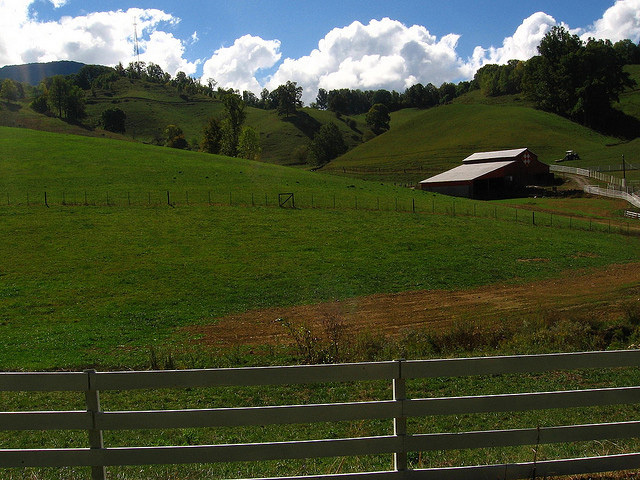 Tennessee is one of the most agriculturally diverse states in the nation, possible because of the state's rich soil, good climate, and rainfall. From the livestock and dairies in the mountains of east Tennessee, to the orchards, nurseries, and vegetable production in the rolling hills of middle Tennessee, to the row crops in the flatlands of western Tennessee, farming dominates Tennessee's landscape. 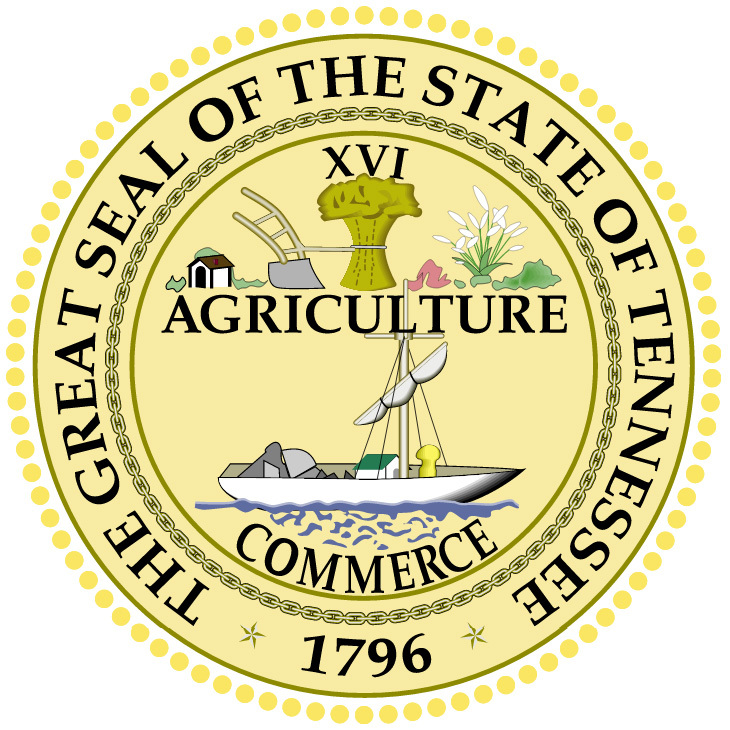 Tennessee also designated an official state slogan in 1965: "Tennessee - America at Its Best." 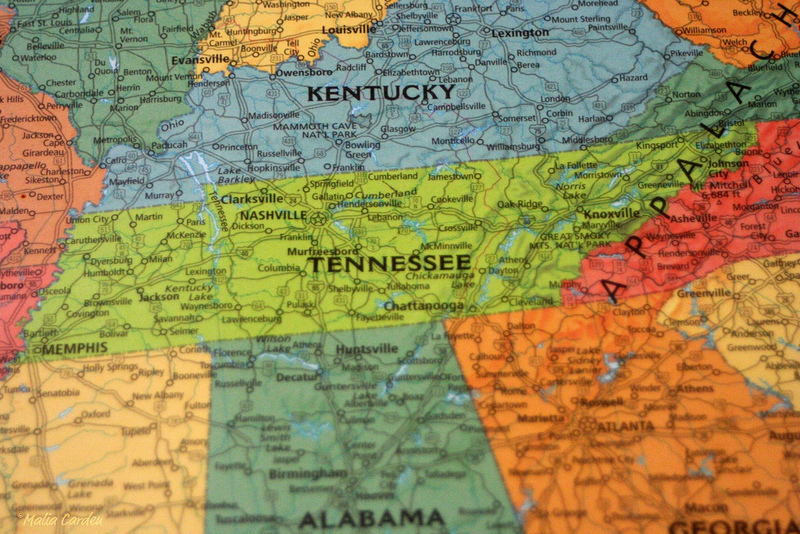 Map of Tennessee; United States of America. Photo by Malia/Flickr (noncommercial use permitted with attribution/no derivative works).